This installment of ICYMI will direct the eye - and more importantly also the ear - to the haunting sounds of the planet's melting polar ice. The story of Earth’s melting ice is a complex one. One of its themes is loss, the vanishing of what was solid and its replacement with ghosts. Its music, above all, is haunting. Listen to the eerie and melancholic song of Antarctic ice responding to a sudden and unprecedented warming in 2016. Washington Post reporter Avi Selk does a terrific job telling this story of scientific data with the kind of aesthetic and emotional resonance we expect to encounter not in the sciences but in the arts. And indeed visual and musical artists have responded to the sounds of melting ice – and what those sounds communicate to us about our warming world. The crackle of ancient air bubbles popping in melting ice served as the soundtrack for one of Zaria Forman’s large, intricate, and beautiful ice drawings in New York City’s Climate Museum. Composer Matthew Burtner has incorporated into his evocative work similarly subtle recordings of melting in Norway’s far north and in Alaska. A more ominous soundtrack of melting inspired a public installation of scientist Doug MacAyeal’s data remixed and layered by musicians Petra Bachmaier and Sean Gallero, then played over large outdoor speakers to thousands of people passing through Chicago’s Riverside Plaza. 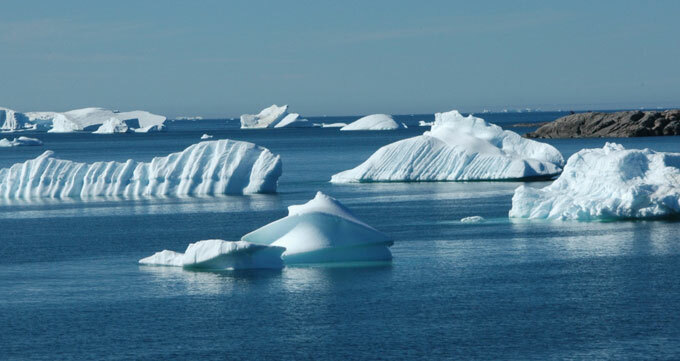 Other musical responses to melting ice aren’t tied so closely to scientific data. For instance, the Norwegian musician Terje Isungset makes (and plays) his own instruments from ice; his work has inspired an annual ice music festival in Norway. The Goethe Institute brought together musicians from Germany and central Asia for Glacier Music performances that involved making sounds with pieces of ice on the stage. And – perhaps the best known piece of ice-melt music – Greenpeace produced a lovely short video of pianist Ludovico Einaudi playing among floating Arctic icebergs.